Justice and Buddha Sasana Minister Wijeyadasa Rajapakshe has found himself at the centre of a new controversy over a potential conflict of interest case involving the Associated Newspapers of Ceylon Limited (ANCL), commonly known as Lake House. The Colombo District Court, in 2011, ordered the state owned media institution to pay a sum of Rs. 500 million to Rajapakshe, who was then a Parliamentarian of the UNP. The court gave the ex-parte order following a defamation case filed by him against the Sinhala weekend newspaper, Silumina published by Lake House. Within 14 days after ruling, the Lake House filed objections against the ruling and the case is still being heard before the Supreme Court. After the new government’s ascension to power, Rajapakshe became the Minister of Justice and Buddha Sasana. Interestingly, the Department of the Public Trustee, the largest stakeholder of the state-run newspaper company, also comes under the Ministry of Justice and Buddha Sasana, headed by Rajapakshe. The Public Trustee Department holds 80% of the Associated Newspaper Company of Ceylon’s shares. Therefore, three of the directors of the state run newspaper company are appointed by the Public Trustee. As a result, Rajapakshe is now demanding Rs. 500 million from a company owned by an institution coming under his own ministry. “This is not illegal. But, it is a potential case of conflict of interest. Rajapakshe is demanding Rs. 500 million from a company whose majority shareholder is an institution under him. 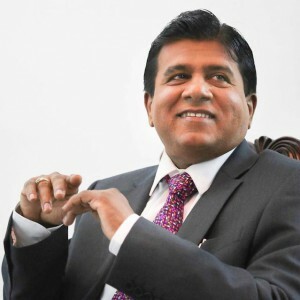 As a President’s Counsel and as a senior Cabinet Minister, Rajapakshe should have acted with integrity,” a senior lawyer, who wished to remain anonymous told Colombo Telegraph.